HTML5.0 is the tomorrow of the web world. It is one of the hottest growing web development platforms, and will revolutionize the web world. Considering the growing demand for HTML5.0, Software Island offers HTML5.0 development services to clients. One of the pioneers to provide HTML5.0 development as a service offering, Software Island is backed by its strong forte of veteran and expert HTML developers and professionals. 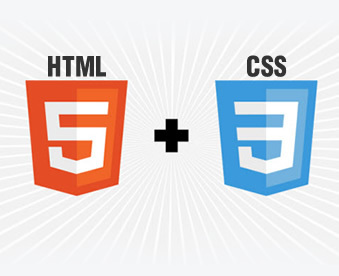 HTML5.0 is a revision of HTML, one of the oldest web programming languages. Though HTML reigned during the beginning stages of the web, it suffered heavily later due its lack of upgrades, functionalities and inability to compete with other programming languages. But now, with HTML5.0, almost everything is possible - right from basic web building to development of rich internet applications like Flash and Java FX. Software Island has profound knowledge in the development of HTML5.0 compatible iPhone and iPad apps. Our expertise in iPhone app development and HTML5.0 web development helps us create feature-rich HTML5.0 compatible apps for the iPhone/iPad, facilitating us to give a new lease of mobile-life for your website. We are indeed one of the few HTML5.0 iPhone app developers in the market with good experience in the development process. At Software Island, we believe our developers to present a whole new world of HTML5.0 iPhone and iPad apps. So, if you are interested in migrating your iPhone and iPad app to HTML5.0 or want to create a new HTML5.0 iPhone and iPad app, contact us today. The market for the iPhone and iPad web apps is expanding rapidly and considering the growing demand for CSS3 based mobile application development we at Software Island provide technology-driven mobile application development that meets the strategic objectives of our clients. CSS3 is the technology behind most of the eye-catching visuals on the web today. Using CSS3 Web developers can easily create rounded edges on borders on Images, navigation items, tabs etc. With CSS3 we create web apps that interact much like native apps. By using this advanced web technology developer can exploit modern browser capabilities while providing more basic content to older browsers. Software Island has been developing iPhone and iPad apps for quite a while and now by using more advanced web technologies like CSS3. With advanced features of CSS3 for graphics we can deliver an immersive app experience to iOS users. By making use of its cutting edge features we have created compelling mobile web experiences for iPhone and iPad users. Our expertise in mobile app development and CSS3 web development helps us create feature-rich CSS3 compatible apps for the iPhone/iPad. Our highly skilled mobile developers can build cost effective and secure mobile applications at fast turnaround time.